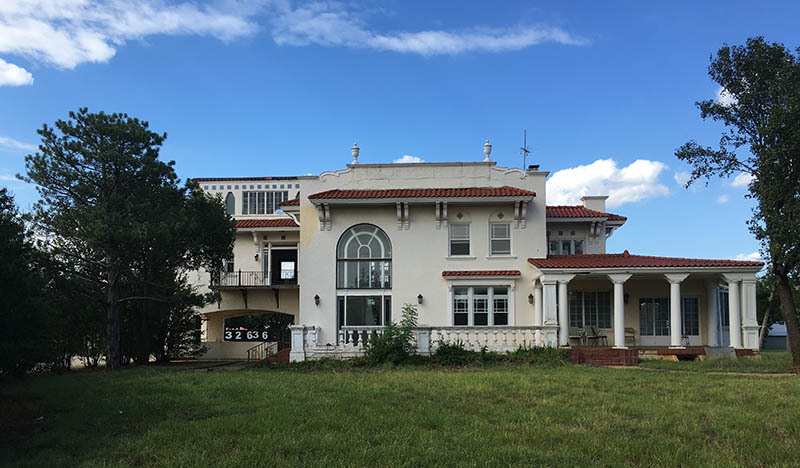 A long vacant sprawling mansion with rich ties to Oklahoma City's history has been sold to a new owner who plans extensive renovation and restoration. 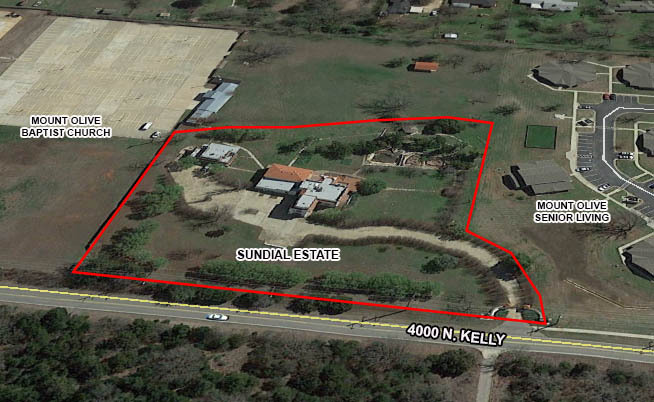 Keena Oden, a Local real estate agent, specialist in home reconstruction, and investor bought the 'Sundial House' at 4000 N. Kelly in April from the neighboring Mount Olive Baptist Church. Built between 1915 and 1919 and placed on the the National Register of Historic Places in 1978, the Church had acquired the property in 2001 from the Sinopoulo family. The church left the house largely untouched but carved off several acres for a senior living center and an open park. 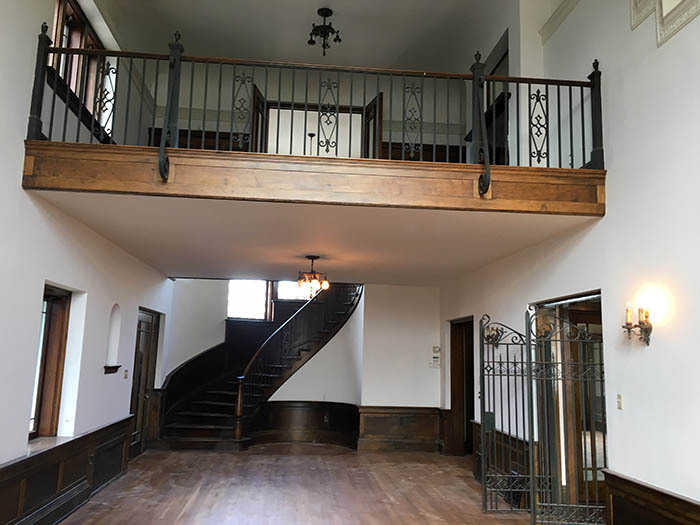 Already under renovation, Oden has big plans for the once grand estate with the intention of keeping and restoring as many of the original elements as possible. This stately Mediterranean villa known as the Sundial House was built by John Sinopoulo. Mr. Sinopoulo, a native of Sparta, Greece, arrived in Oklahoma City with his brothers Peter and James in 1903. 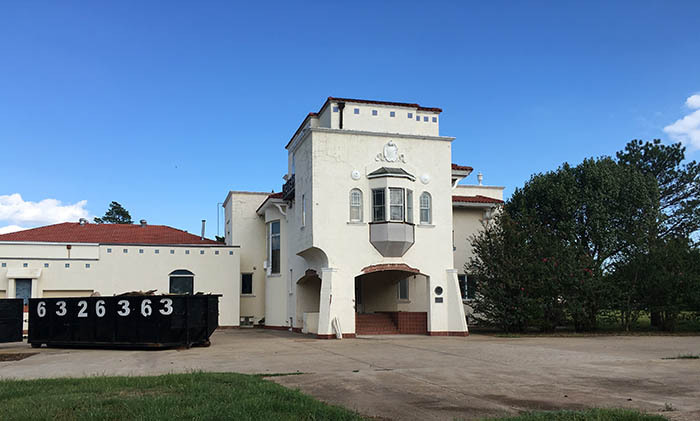 He came to build the historic Delmar Gardens, an early day amusement center on a site that encompassed present-day Wheeler Park along the Oklahoma River and surrounding properties. Along with is brother Peter and Joseph Marre, Sinopoulo leased 140 acres from Charles F. Colcord and developed a racetrack, hotel, restaurant and outdoor beer garden. 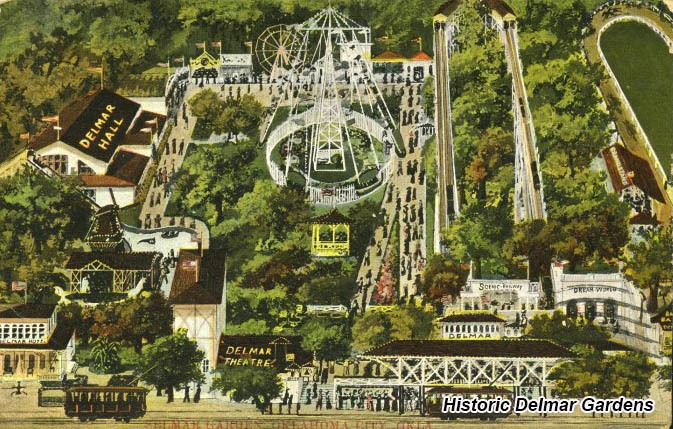 Delmar Gardens closed in 1909 after flooding and site problems. The park had included two very successful theaters so along with his brother Peter, John Sinopoulo purchased several theaters around town primarily for the vaudeville circuit but later for “moving pictures”. 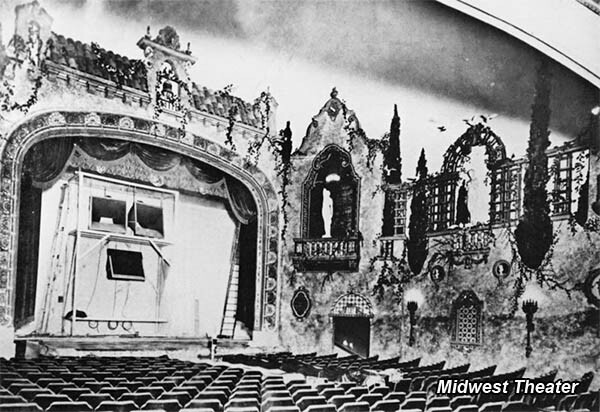 The theaters were later merged with several others forming Midwest Enterprises, Inc. John Sinopoulos was president of the firm until his retirement in 1962. The brothers also created the Sinopoulo Foundation for the purpose of improving life in their native Greece. Near their birthplace they built a library, school, church, hospital, cinema and famous amphitheater where major performances are still held. Brothers John and Peter Sinopoulo where inducted into the Oklahoma Hall of Fame in 1995. Upon Katherine Sinopoulo's death in 1976 and John Sinopoulo's death a year later at the age of 101, as the couple had no children the property passed to Peter's daughter Patricia and her husband Byron Gambulos. It was Gambulos who sold the property to Mount Olive in 2001, citing the desire for a smaller house. This stately Mediterranean villa has fourteen rooms on four floors, encompassing 7,700 square feet with an 1,816 square foot basement. 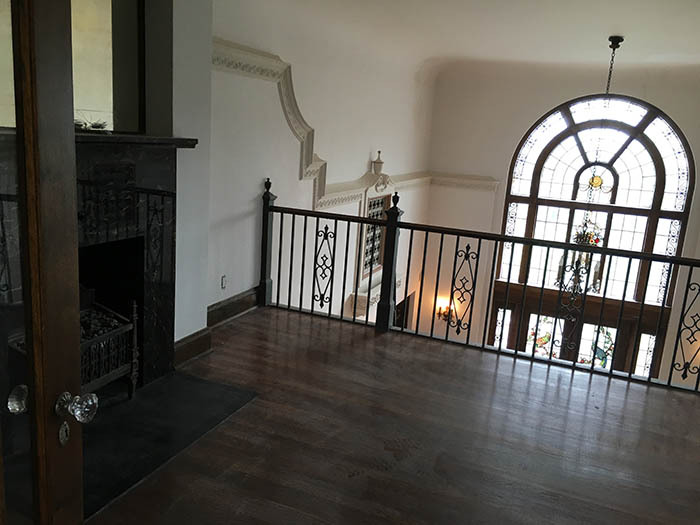 Rooms include a two-story living room with arched stained glass window, a balcony study area, an art studio, an all-tiled conservatory with large fountain, a formal dining room with wrought iron gates, and decoratively tiled fireplaces. From the second and third levels, both the state capitol dome and downtown skyline are visible. There is an enclosed swimming pool, garages, porches and terraces, including one off the upstairs master bedroom. Originally located on 20 acres, the house now sits on 3.4 acres. The grounds include decorative stucco entry gates with wrought iron fence and rock-lined flower beds, a large gold fish pond, a large lily pond, a bridge, waterfalls, and watermill. Numerous winding sidewalks are throughout the property, constructed of marble and granite blocks. Katherine Sinopoulos (nee Montaigne) was one of the first women to graduate from the Chicago Institute of Art and created a cardboard model for Chicago architect John Eberson to follow. Eberson was one of the most famous of theater architects in U.S. history and his work includes Oklahoma City's Midwest Theater at 16 N. Harvey which was razed in 1975. After being placed on the market for $1.2 million around 1999, Mount Olive bought it for only $800,000. 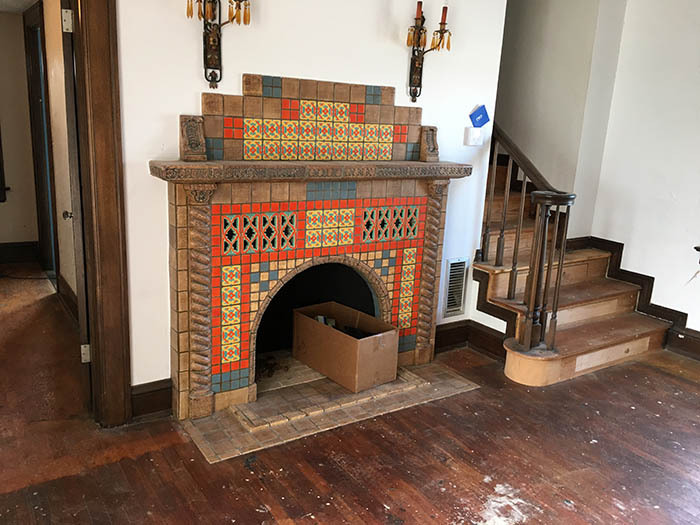 Years of neglect followed before Keena Oden paid just $476,000 with much more to be invested in a daunting restoration task. This will be her sixth personal project for herself and her two children. 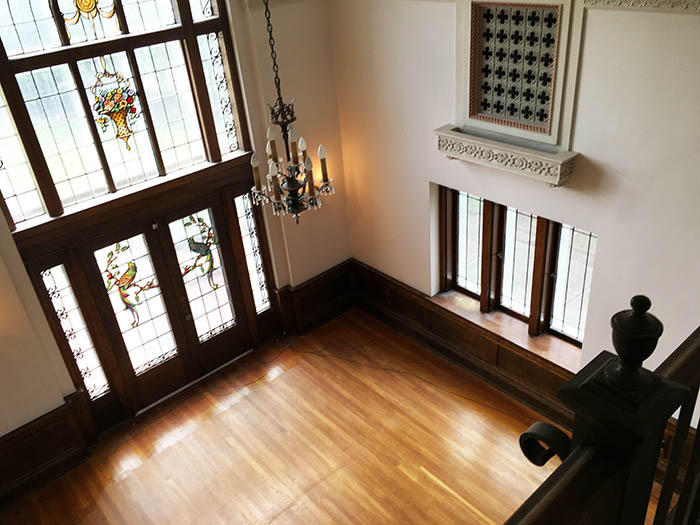 Oden has already started work on the house, which has seen the removal of carpet to reveal original hardwood floors and the careful relocation of a large beehive from the front portico. Some things were not worth saving, such as the kitchen that had been remodeled in the 60's or 70's. 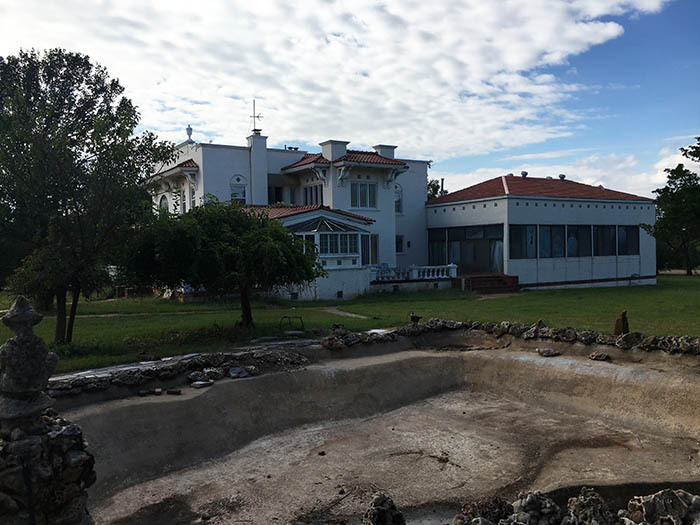 Oden recently took a trip to Greece to learn more about the Sinopoulos brothers and the history of the house. 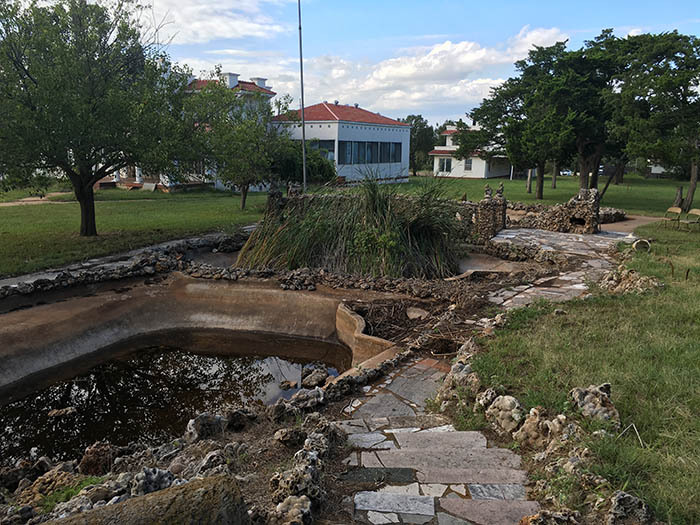 The current plan is to remodel and restore as much of the original house as possible, including the huge outdoor pond and footbridge surrounded by Greek coral. Oden plans to use the property as her personal residence but may also book weddings and events in the future.